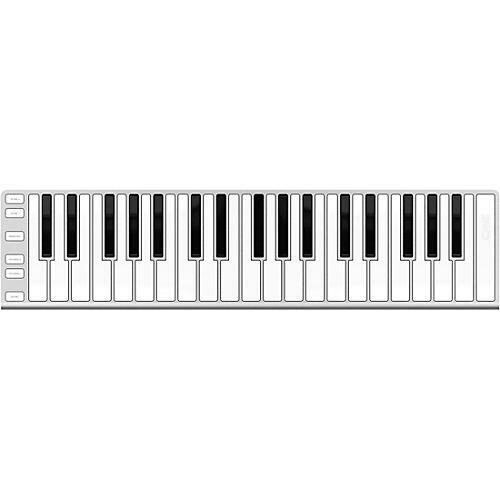 The CME Xkey 37 is an ideal product for a lot of different kinds of musicians. It can serve as a controller in a home studio, but when it’s time to take it on the road, its functionality relative to its portability is what establishes its appeal. It features critical control elements like pitch bend, modulation, sustain and (a must for 37-key controllers) an octave up and down switch. Pitch bend has traditionally been the challenge in smaller, portable controllers, and the CME XKey 37 solves that by assigning the function to a pair of Up and Down buttons rather than wheels or a joystick, which would violate the XKey 37’s incredibly low profile. All of the control functions work beautifully. It is simple to use, and is recognized by all DAWs without using any drivers. The XKey 37’s action is likewise an achievement in portable controller design. The amount of key travel is minuscule, which is critical to its being able to maintain its signature low profile. And yet, it has a broad level of velocity discernment once you adjust your playing a little bit to its scale. You can play with remarkable and surprising levels of expressiveness on the XKey 37.